Farm Fresh For All Interior Bus Ad! Next time you are riding the bus make sure to look up! 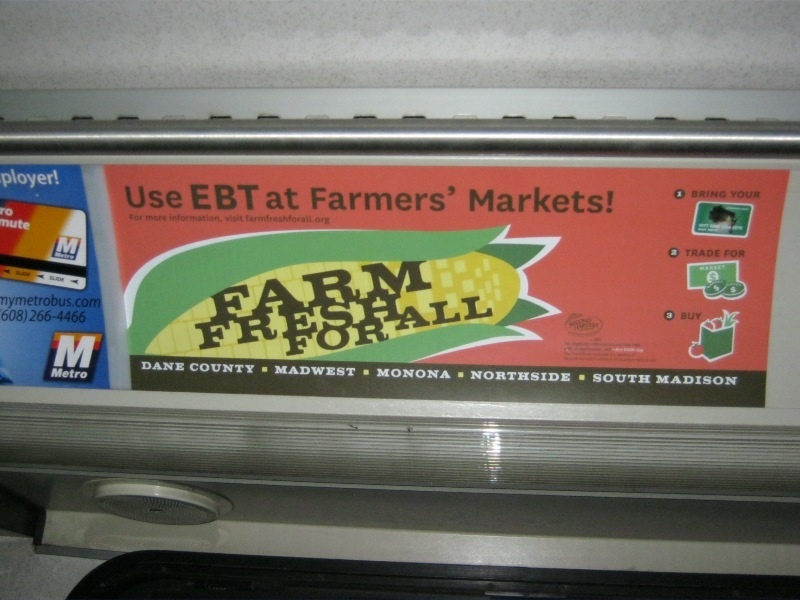 Our bus ad is now posted in 25 Madison Metro buses spreading the news about using FoodShare at farmers’ markets.